Far Cry 5 is one of the most anticipated games of 2018. 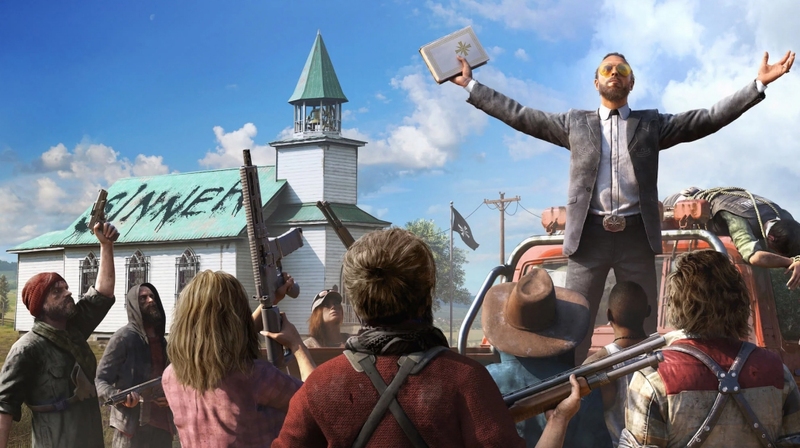 Like the franchise’s previous entry, Far Cry 5 focuses on a singular villain – this time around, it’s a radical preacher named Joseph Seed and a doomsday cult called Eden’s Gate. As we’re learning from the first batch of reviews to hit the web, the game shares more in common with Far Cry 4 than you might have anticipated. Ubisoft in Far Cry 4 included a subtle tactic that allowed players to complete the game in mere minutes simply by remaining idle at the very beginning. By not acting on the prompt to handcuff Seed following the opening cut scene, you trigger another cut scene that leads directly to the game’s ending credits. Far Cry 5 launches on PlayStation 4, Xbox One and Windows PC on March 27 (tomorrow).